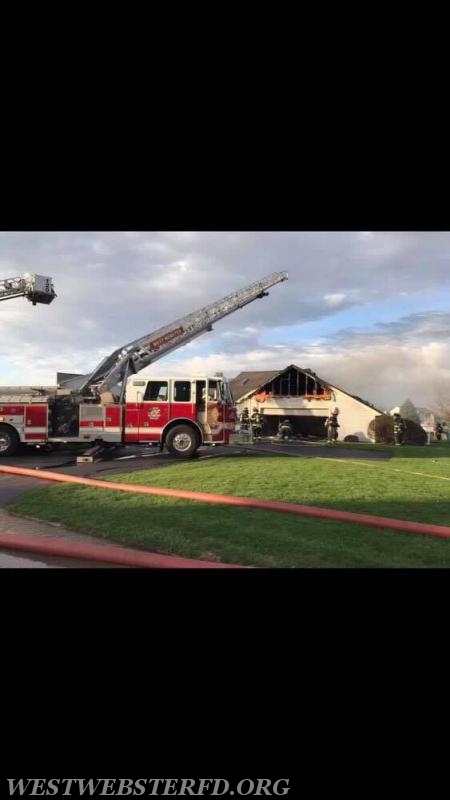 At approximately 7:00 pm on Tuesday May 1st, West Webster was dispatched for a house on fire. 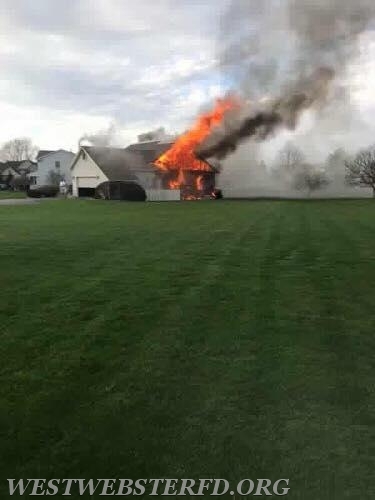 While en route, West Webster units received an update that 911 was getting multiple calls for the house fire. Due to multiple calls being received, Webster Fire was dispatched to assist. Fire arriving Chief Officer found heavy fire from the one story structure and declared a working fire. West Webster crews worked for approximately 45 minutes to bring the fire under control. All occupants from the structure made it out safely prior to the arrival of West Webster. West Webster was assisted by Webster Fire, North East Quadrant ALS, and Monroe County fire Bureau on scene. Brighton and Ridge Culver provided fill ins in at Station 1. 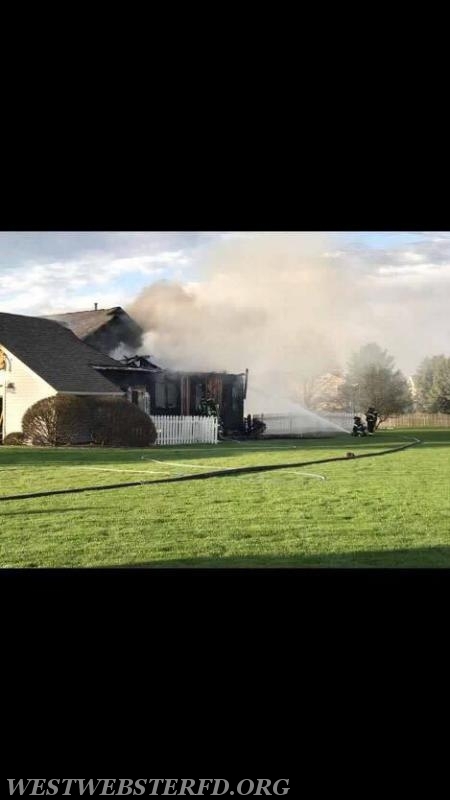 The cause of the fire is under investigation by the Monroe County Fire Bureau.